Last week I had the very lovely, and oh so knowledgeable Kelly from Stacked answer a series of mind bending questions on the state of blogging. This past month has been an interesting learning experience as I re-entered the book blogging space. One big thing I have noticed is that commenting has seemed to have reduced dramatically across the board - a symptom of cross-platform aggreggators, perhaps? This time I've probing the mind of a fellow Australian YA book blogger, Danielle Binks. 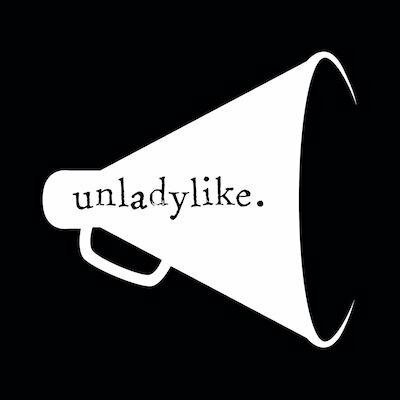 Danielle reviews at her blog Alpha Reader - she's a beautiful, insightful writer so be sure to add her to your rotation - she's also the digital editor for Spinifex Press (an independent feminist press) and the children's and YA columnist for Kill Your Darlings journal. She's one of those horrendously talented people that you would love to hate but instead she's my friend...I have good taste like that. What do you feel has changed the most about the blogging community in the past three years? I’m slowly starting to notice the commercial creep, I suppose. Back in 2012 I remember there was the big news story about crime writer RJ Ellory being caught out writing reviews for his own books on Amazon … but those of us in the blogging community were already very aware of the potential for this deception to be going on. There was a big to-do made over Amazon stopping people from reviewing family members’ books, and writers reviewing other writers’ work – but I think bloggers who came into contact with these reviewing sites on a regular basis were already well-aware of the potential sneaky loop-holes. Long before Amazon bought Goodreads (another indication at the commercialisation of book-blogging, IMO) reviewers were aware that some writers were employing such tactics. I think (mostly self-published) authors are pushing for more advertorial in the book blogging world and I’m very dubious about that. What decisions have you made in regards to the technological side of blogging? What have you experimented with and/or disregarded in this area? Technology? Um. None. My technological know-how is 0. Negative-0, even. I’m still on Blogger, and it was only last week that I found out how to add a tweet button to every post ( ... Remember? I asked you how to do it!). I’m keeping it basic (can I call it ‘retro’ to sound cooler?). I did, however, get a personal website designed by the lovely Risa Rodil because I love her aesthetic and she’s very, very clever (and so lovely to work with!). I’m thinking about asking her to whip Alpha Reader into design-shape … but I feel like that would involve a lot of work, like buying a domain and somehow ensuring that I don’t lose all my old review posts … on second thoughts, it sounds hard. But I do like the pretty. The typical lifespan for a blogger is around 2 years - why are you still at it? How has your process changed since you began? Yes, blogger burnout is a very real thing and I’ve seen a lot of great blogs fall by the wayside, unfortunately. I’m still at it because I’ve only ever been in it for myself. I call it my “solo book club” because it’s all about me-me-me! I’m only out to please myself, and the fact that this is my little corner of the blogosphere makes me happy – I find it quite cathartic to lay my thoughts out on these pages. And I suppose I’m still in the blogging game because I never expected the good luck that would come just from doing something I love. I was invited to be an Inkys judge in 2012 by the wonderful Centre for Youth Literature. And I got my current freelance gig as online columnist writing on Children’s & YA for Kill Your Darlings because of my blog too. I don’t quite know how either of those things happened, but I’m very grateful that they did. As for my process changing? … no, I don’t think it has. I’ve always set out to write honest reviews. I think it’s more likely that blogging has changed me – I’m a lot more involved in the literary community of Melbourne. So I attend things like events at the Wheeler Centre and the Melbourne Writers’ Festival or Reading Matters, and write about them. So my blog has expanded from being strictly books, to wider issues concerning children’s and young adult literature, in particular. Blogging gave me a unique opportunity to be a participant in the very industry I was promoting/reviewing and now I try to make the most of that by getting involved in my local bookish community. I love it. I don’t know that I would have ever had the confidence to, say, apply to be a Digital Reporter at the Melbourne Writers Festival if I hadn’t been a blogger first. What is your favourite book that has been released in the past three years? Oh. That is evil! Low, low blow. But if I have to choose just one? 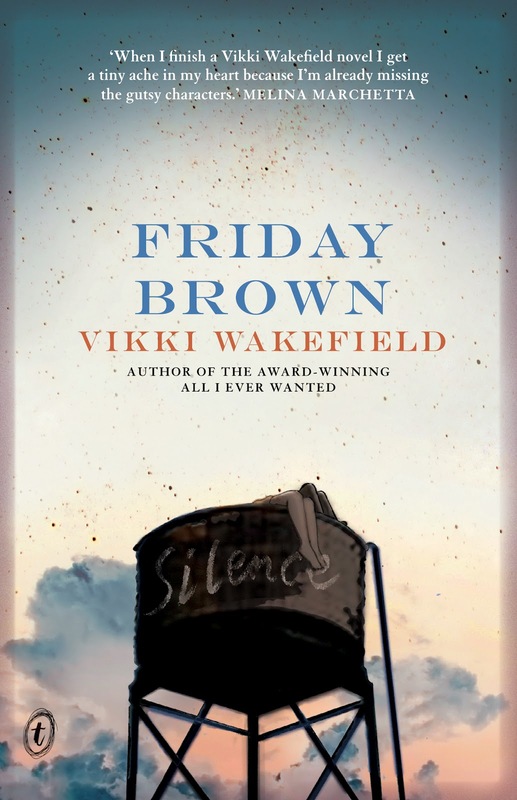 … Vikki Wakefield’s ‘Friday Brown’ (Text Publishing, 2012). It’s just so beautiful and dark and literary and clever. She really broke my heart with that book, in the best possible way. And for anyone who doesn’t think books with teen characters hold any real weight or literary significance, I’d like to give them ‘Friday Brown’ and then just walk away. What singular blog has really impressed you with their content, longevity and evolution? On the flip side, what new(ish) book blog has you excited? I do love the American Library Association’s YA blog ‘The Hub’, they have some wonderful content up on there and thoughtful discussions. I’m also a big fan of US blog ‘The Midnight Garden’ – which has five contributing bloggers, but was founded by Wendy Darling. They definitely have their fingers on the pulse of YA, and I’m forever salivating over the ARCs they’re raving about, and adding them to my To Be Read pile. I also love Jess’s ‘The Tales Compendium’ – she writes gorgeous reviews, and her love of YA is palpable. As for new? I’m terrible at keeping up with new blogs – it comes with being low-tech and very set in my ways. But I was very happy when ‘Ladies of YA’ was founded last year. Commenting is definitely way down from when I started nearly four years ago. I have a circle of bloggy friends that usually comment on each others' posts but I've noticed that, when I comment on posts/blogs outside that circle, there's little in the way of reciprocation (even if it's on a consistent basis; if the blog's big or small, new or established, it doesn't seem to matter). Not that I *expect* reciprocation. But it is a nice way to build community and show interest in the world beyond your own blog. I entirely agree about the dropping off being a product of cross-platforms. I actually have really lovely chats with fellow bloggers via Twitter more than anywhere else. And that's the thing - somewhere like Twitter allows us to have *conversations* instead of these stagnant comments. So, in a way, I guess it's nice that we have so much to say to one another that a single comment doesn't cut it any more. But I also agree with Mary that it can just be a sign of respect/admiration for a blog you really love. It's not hard to write a quick "Great post, I cyber-stalk the heck out of you" is it, really? Thank you very much for having me, you lovely thing you! So glad you're back in the blogging biz. Great post! I think I actually enjoy interviews with other bloggers more than interviews with authors. It is nice to learn more about our community and hear what others think.